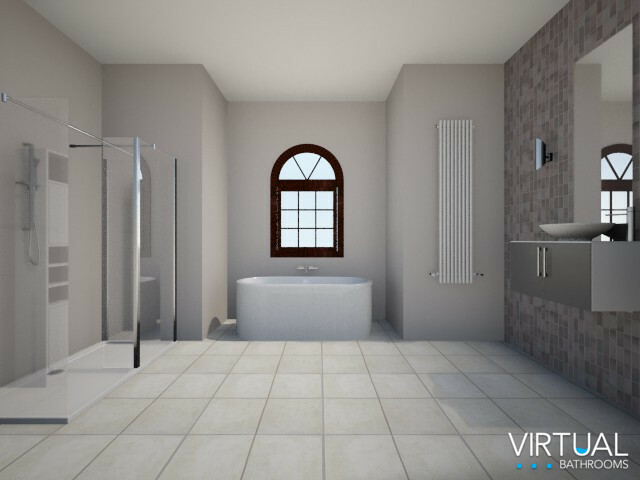 Creating your dream bathroom has been made a trillion times easier thanks to Virtual Bathroom Designer. 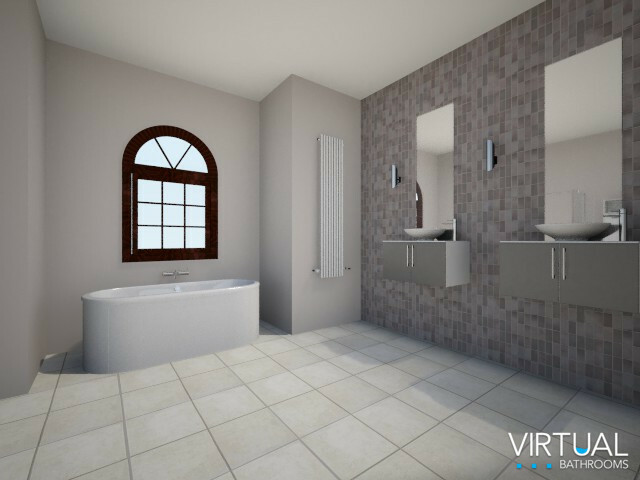 This nifty piece of online software gives you all the tools you need to ‘virtually’ construct and design the bathroom you’ve only ever dreamed of (it even has quick tutorials too). I decided to give this software a try and was pleasantly surprised with its user-friendly interface. As a 3D Visualiser I’m used to constructing complex spaces using the industry leading software applications, but trust me when I say that a blind man on a galloping horse could use this software with ease. EASE! The components are incorporated into the floor plan using a simple ‘drag and drop’ format. There are loads of different paint/flooring options, furniture (and not just for the bathroom), accessories and even Art! 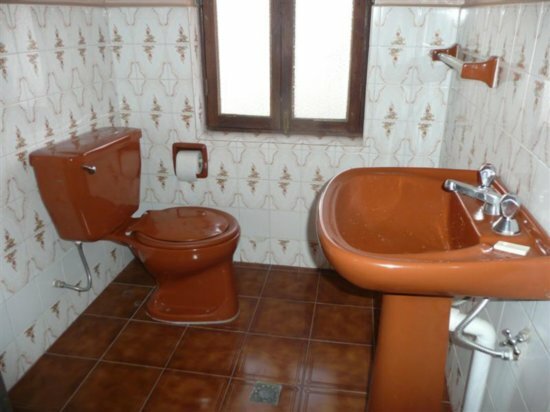 When it comes to bathrooms, I like a clean, earthy colour palette. There’s a few different reasons for this: it’s elegant and timeless. It’s also very easy on the eye and has a very calming atmospheric quality, therefore it’s an ideal palette when relaxing in the tub! I’ve opted for natural floor tiles (keeps the space airy) and a fab chalky warm grey tone on the walls. A feature wall has been tiled using a mixture of earthy tones for a little bit of added drama and to act as a contrast to the neutral tones used elsewhere. In MY dream bathroom I’d have twin wall-mounted basins. I mean really, who wouldn’t?! This adds a luxurious quality, helps to retain the feeling of space (because you can still see the floor) and has great visual impact. It’s also a very effective way of incorporating a streamlined storage solution. Simple mirrors have been positioned above with wall lighting either side. Layered lighting, as always is very important and a bathroom is no different. Especially for areas that may require added illumination. A modern free-standing bath has been positioned in a little nook with a window above to add a little visual interest. I’ve also included a pretty spacious shower enclosure and additional storage via a tall chest. 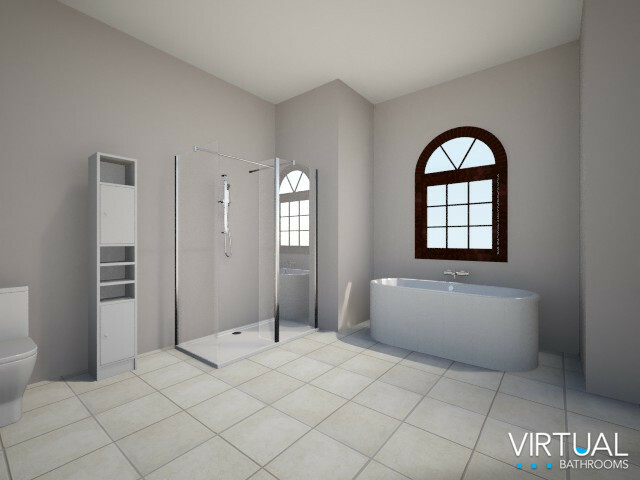 I highly recommend that you experiment with the Virtual Bathrooms design tool to construct your dream bathroom. The possibilities are endless!